I read this a really long time ago so plot details are a little bit fuzzy but here it goes: Aislinn, the protagonist, is able to see faeries when no one else can. Due to her ‘Sight,’ as she calls it, a handsome and dangerous faery begins stalking her. Aislinn soon finds out that his name is Keenan, he is the Summer King, and he has been searching for centuries to find his Winter Queen, whom he believes to be Aislinn. Ancient faery courts, dark magic, and an epic love triangle all make this a great read after the heartbreak of finishing The Mortal Instruments series. The series is centred around Penryn, a female protagonist searching for her sister who has been abducted by an evil group (sound at all familiar to Clary and her mom?). Along the way to finding her sister, Penryn meets a handsome guy who just happens to have been exiled from this evil group and has a way to get her back. Oh yeah, did I mention these evil group members are actually avenging angels sent to Earth to let loose their wrath and basically take over the world? Although they are addicting, be forewarned that the books have some decent cheese to them, so go into the series with that knowledge. The other two series are set in a real world with a fantasy underground and magical elements to them, whereas this series is full-on fantasy. This series is great for anyone who loves badass female characters. The main character, Celaena Sardothien, is the best assassin in the land but she has been betrayed by her mentor and imprisoned. In order to be set free she must agree to compete in an assassin competition as the Prince’s champion. Once she arrives at the castle though, the competitors are being taken out one by one in a grisly fashion and Celaena has to fight for her life, not only in the competition but in real life as some darker force emerges from the shadows of the magical world. Of course, there are multiple love interests thrown into the books, and I really enjoy how Maas develops Celaena’s character. Each book gets better and more complex, exploring farther regions of the land and adding in more character POVs. It’s a great toned-down, YA Game-of-Thrones-esque series. I’ve been waiting for this book to be released and picked it up as soon as I saw it appear on the shelf at work! Empire of Night by Kelley Armstrong is the sequel to Sea of Shadows, which is about twin sisters who have to flee after their village is decimated and find themselves on a journey, with an attractive warrior and a criminal, to figure out what is behind the supernatural attack. 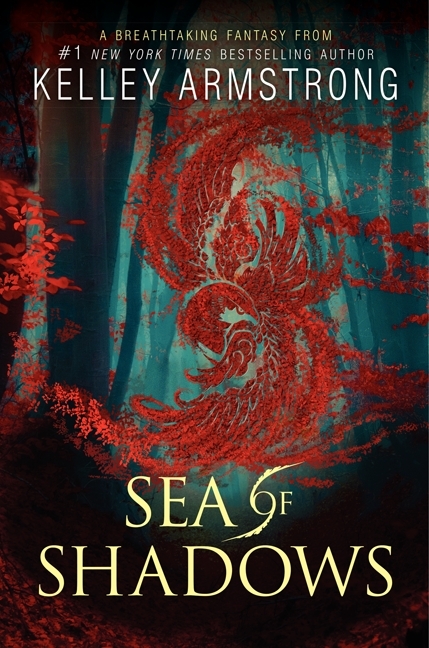 I loved the first book, Sea of Shadows, and would rate it with 4/5 stars, and the second book turned out to be even better. Empire of Night was yet another epic adventure, bringing in new otherwordly beasts that were easy to picture with Armstrong’s description. The twins, Ashyn and Moria, travel to new parts of their realm, allowing the reader to experience more of their world. I enjoy that Kelley Armstrong doesn’t just leave the rest of the series to be told from the capital, but keeps the sense of adventure going. Yes, there is romance mixed into this fantasy series, but it is very well done. 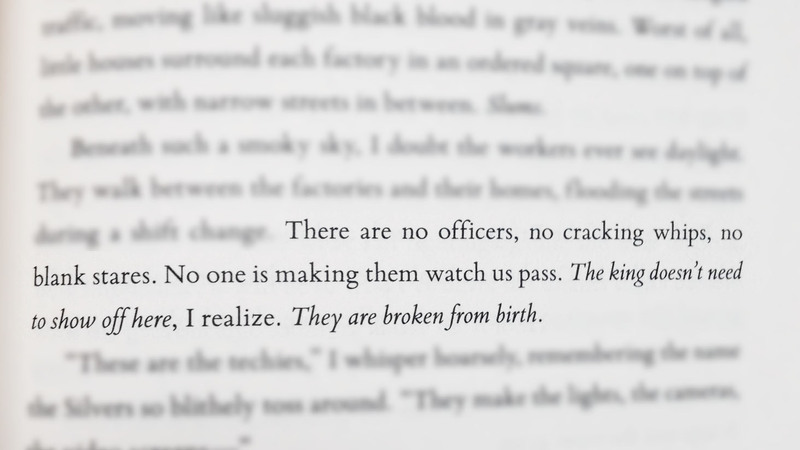 I’ve found some fantasy and dystopian YA authors don’t create a great balance between the plot of the book and the romance the main character experiences. It can sometimes feel a bit ridiculous that these characters are in life threatening situations, and instead of thinking about saving themselves they just dream of their ‘true’ love. Is anyone with me when I say there was way too much lovey dovey poetry in the sequel to Matched by Ally Condie? I appreciate that Armstrong wrote both Ashyn and Moria intelligently, not pining after guys who hurt them or guys who aren’t interested in them. The love stories in this book also don’t overwhelm the rest of the plot, they didn’t make me roll my eyes or want to put the book down because of some outrageous decision a character makes due to love ( I once threw a book onto the floor at how mad I became at the main female character’s romantic choices). This book was very enjoyable, with intelligent and strong female characters. I’m definitely looking forward to reading the final installment in this series, and will be checking out more of Kelley Armstrong’s other books. I know, I know, you’re not supposed to judge a book by its cover. But, come on! We all do. What I love in a book cover is when it stops you in your tracks and seems to call out to you, “Pick me up! You know you want to feel my beautifully embossed cover and discover my secrets.” This is still and incredibly hard feat to do though. So when I see a cover that makes my heart jump in excitement, and my fingers itch to pick it up I always know that my wallet is in trouble. 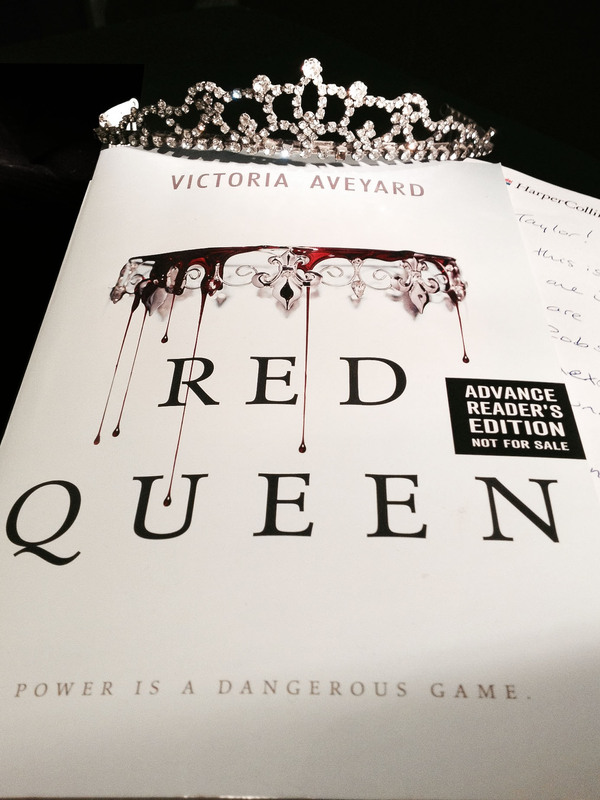 The Cover of Red Queen written by Victoria Aveyard is simple, yet beautiful. It speaks to my love of symbolism, contrast, and white space. Even reading through the blurb once you can already feel how representative the cover is of the story. 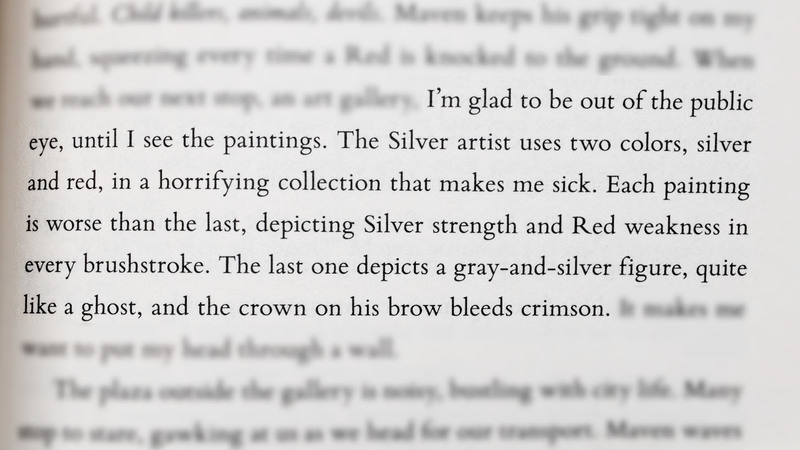 Not only does the cover image tie into the intense struggle between the red and silver blood lines, but it connects perfectly with exact quotes from the book. You know a cover has done its job well when you finish a book and just sit and think about all the ways that the design truly represents the plot, the characters, and the struggles they go through. 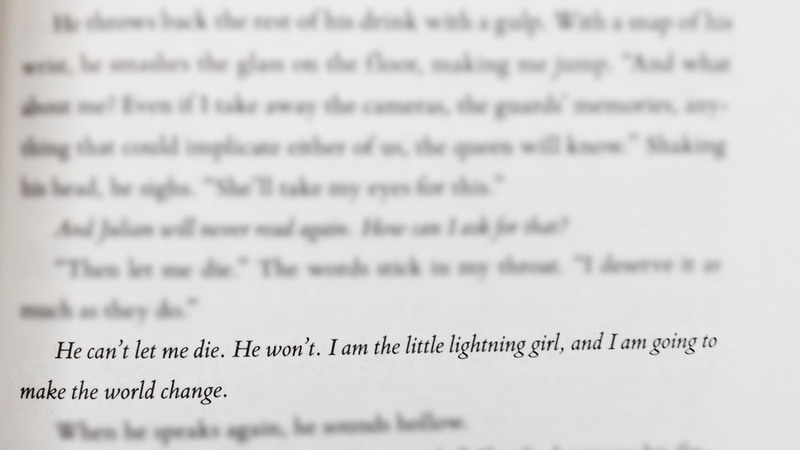 Red Queen does have a stunning aesthetic, but it was also an extremely addictive read. Set in a dystopian ‘other world’ with magic/superhuman abilities, it’s the perfect combination of fantasy and futurism. I fell in love with Mare, the protagonist, the second I fell into her world. A strong female character, Mare stays true to herself and her cause despite the pull of a love triangle in the book. For anyone looking for an intense and fast-paced read, this is great.